Tim (*1975) started playing the trombone to join the local brassband. His ambitions in music came at his late twenties, so he went to study jazz trombone at Maastricht Conservatory (NL) and later at the MusicHochschule in Cologne (DE). His work as freelance musician consists of playing in small and big jazz formations/ensembles, Latin and worldmusic formations in Belgium, the Netherlands, Luxemburg and Germany. 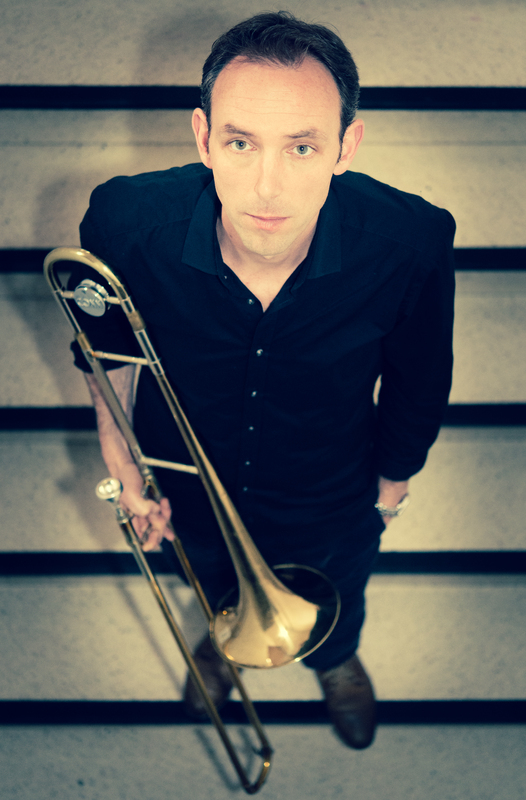 He is teaching Trombone, improvisation and is a (jazz)band coach at Kumulus Music Academie Maastricht, Music Academy of Hasselt (B), and recently started teaching at The Jazz School of the Junior of the Conservatory in Maastricht.